Sadly, Long Island Sisters in Crime had to disband, as of January 1, 2017, due to lack of member interest. Hopefully, one day in the future, it may return. We thank our followers for their interest and support over the years. Come join Long Island Sisters in Crime at their next meeting, on Saturday, February 20, 2016. Meetings are held monthly (usually the 3rd Sat of the month) at 12:30 pm at The Vitality Center in Commack, NY 11725. Meetings are open to the public. We welcome writers and readers of the mystery, thriller, suspense, true crime, and related genres. Like our Facebook page and follow us on Twitter @LI_SinC. SinC offers networking, advice and support to mystery authors and working to promote the professional development and advancement of women crime writers to achieve equality in the industry. Although our title may include “Sisters,” we certainly welcome “Misters” and “Brothers” to join us. Established and emerging mystery and crime writers are welcome. The meetings are free. Long Island Sisters in Crime is a chapter of the National Sisters in Crime. Those who elect to join our chapter may do so after joining the National Sisters in Crime organization. Follow our chapter on Twitter @LI_SinC and like us on Facebook. Long Island Sisters in Crime will be meeting on the 3rd Saturday of each month, at 12:30 p.m., at The Vitality Center, 66 Austin Blvd., Commack, NY 11725. Follow Long Island Sisters in Crime on Twitter @LI_SinC and Facebook. Long Island Sisters in Crime, a chapter of the National Sisters in Crime, is pleased to welcome guest speaker John Nolan, retired Detective Lieutenant and Commanding Officer of the Homicide Squad, of the Nassau County Police Department, at the Half Hollow Hills Community Library in Dix Hills, on Saturday, September 27, 2014, from 12-2 pm. John Nolan served nine years as Supervisor and Commander of the Homicide Squad, where he oversaw several hundred murder investigations. He holds an MBA from Dowling College and is a graduate of the FBI National Academy. Mr. Nolan was also an adjunct instructor in the Police Academy Supervisor & Detective Schools. His topics included “Rules of Evidence,” “Confessions,” “Search Warrants,” “Eyewitness Identification,” and “’Stop & Frisk’ Laws.” He was a member of the department’s Deadly Force Response Team. Among the many topics Ret. Det/Lt. 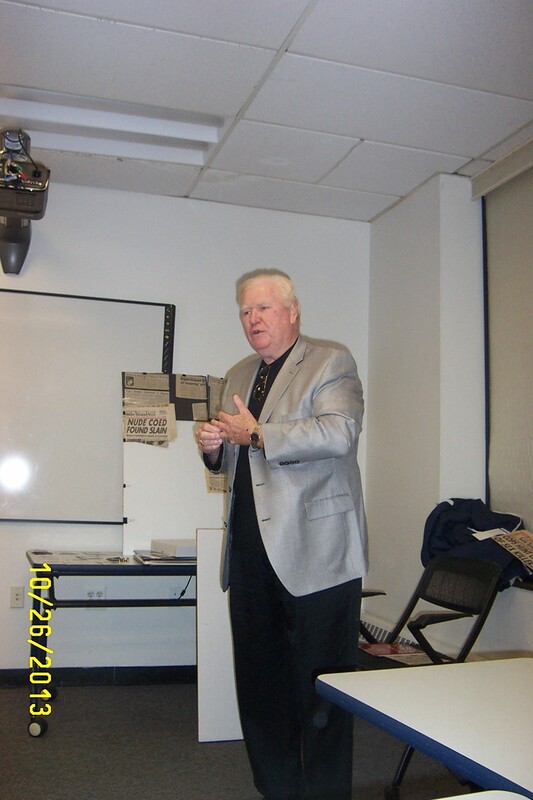 John Nolan will present: Mistakes by Murderers; Errors by Police; and High Profile Cases. A Question & Answer segment will follow. John Nolan is the author of the recently released novels Cold Case Squad, The Twelfth Protocol, and the forthcoming Rampage 1982. The meeting is open to the public; all are welcome to attend. Due to subject matter, parental guidance is advised. *To reach the Half Hollow Hills Community Library, go north (towards Northport) on Exit 51 of the Long Island Expressway (Deer Park Avenue) for one mile to Vanderbilt Parkway (at a light). Turn left (west), go uphill then level—about one mile. Half Hollow Hills High School East is prominently visible on your left. The library is directly across the street. Go downstairs to the large lecture room on the left. The library’s phone number is 631-421-4530. The Long Island Chapter of Sisters in Crime will be welcoming a special guest speaker on Saturday, July 27, 2013, from 12 p.m. – 2 p.m., at the Half Hollow Hills Library, 55 Vanderbilt Parkway, Dix Hills: Retired NYPD Detective Sergeant Joseph Giacalone, the former Commanding Officer of the Bronx Homicide Cold Case Squad. 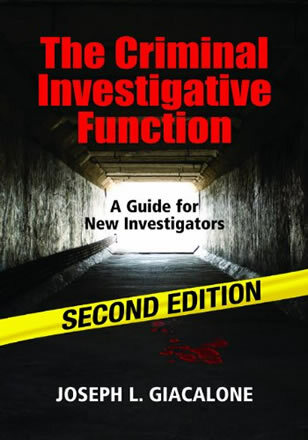 He is the author of The Criminal Investigation Function, now in its second edition. Joe can be found on Twitter @ColdCaseSquad and @JoeGiacalone. Joe obtained a Master of Arts in Criminal Justice with a Specialty in Crime and Deviance from John Jay College of Criminal Justice in 2005. He has been an Adjunct Professor at John Jay since 2005, where he teaches criminal investigation and other related topics. He was a highly decorated member of the NYPD including the Department Medal for Valor. Joe will talk about his career, cold cases, his experiences as a media consultant and author, and will conduct a Q&A session. The meeting is open to the public. Mark your calendar and come hear Joe speak. Also, if you are a writer of mysteries, thrillers, crime fiction, true crime, and would like to network with fellow writers, consider joining Long Island Sisters in Crime. Long Island Sisters in Crime is a chapter of the international organization Sisters in Crime. We are authors, readers, publishers, agents, booksellers and librarians bound by our passion for the mystery genre and our support of women who write mysteries. We welcome Sisters and Brothers in Crime from anywhere who have an interest in the Long Island mystery community. Long Island Sisters in Crime meets monthly at various libraries on Long Island. To join the Long Island chapter of Sisters in Crime, a potential member must first join the National Sisters in Crime organization. Come visit the Long Island Sisters in Crime Facebook page and follow us on Twitter @LI_SinC.